Neuroscience is the scientific study of the nervous system. Traditionally, neuroscience has been seen as a branch of biology. However, it is currently an interdisciplinary science that collaborates with other fields such as chemistry, computer science, engineering, linguistics, mathematics, medicine and allied disciplines, philosophy, physics, and psychology. I have read a great deal now on the neurological side and much on the anthropological side and on the philosophical side and we have had all these discussions and all the time I have the feeling that something may break. I mean that some little light at the end of the tunnel may be sensed or some flash of insight may come. I of course know very well that there is no guarantee it will come, but I have already got myself into this state of expectancy that something will come to my imagination which has some germ of truth about it in this most difficult field. Nothing in neurobiology makes sense except in the light of behavior. Neuroscience is the field of study that endeavors to make sense of such diverse questions; at the same time, it points the way toward the effective treatment of dysfunctions. The exchange of information among a half-dozen branches of science and the clinical practice of mental health have shaped a new scientific approach to the study of the brain. [I]t is particularly encouraging to see the growing number of computational studies being conducted at the cellular and molecular levels. Perhaps no where else in neuroscience is the risk of getting lost in the trees and separated from overall brain function as great. The Society for Neuroscience is the world's largest gathering of scientists. It drew nearly 23,000 researchers to San Diego in late 1995, and it is almost impossible to cover single-handedly. The phenomenal world according to neuroscience is the result of the final transformations of sense data somewhere in the brain. Yet the brain itself belongs to that phenomenal world. R. D. Laing (1976) asks, "How, as a member of the set we have to account for, can it be used to account for the set as a whole, and all members of the set, including itself?" The more we discover scientifically about the brain the more clearly do we distinguish between the brain events and the mental phenomena and the more wonderful do the mental phenomena become. Promissory materialism is simply a superstition held by dogmatic materialists. It has all the features of a Messianic prophecy, with the promise of a future freed of all problems—a kind of Nirvana for our unfortunate successors. 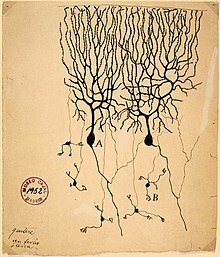 The first proponent of cortical memory networks on a major scale was neither a neuroscientist nor a computer scientist but... a Viennes economist. The biggest single obstacle to the full use of mathematics in real neuroscience is the sheer difficulty of the relevant mathematics. The brain is far more complex than today's computers; therefore to understand it, one must use even more sophisticated mathematics than the average research engineer is familiar with. Because of this difficulty, a few "middle men" have presented oversimplified description of biology to the engineers, and oversimplified descriptions of the engineering to the biologists. These oversimplifications have often led to considerable misunderstanding and justified mistrust. There was another major phase of split-brain research where we studied the patients as a way of getting at the other questions very much alive in neuroscience, everything from questions about visual midline overlap to spatial attention and resource allocations. At this point the split-brain patients provided a way of examining cortical-subcortical relationships, and other matters. Michael Gazzaniga (2001) (12 April 2011). "Interview with Michael Gazzaniga". Annals of the New York Academy of Science. DOI:10.1111/j.1749-6632.2011.05998.x. It now seems beyond question that the traditional account of depression as a chemical imbalance in the brain is simply wrong.